Alex Salmond has been accused of “dragging Scotland into the gutter” for crowdfunding a legal bid to challenge the handling of sexual harassment allegations against him. The former first minister was supported by SNP colleagues but criticised by other parties for calling on donors to fund a judicial review into the Scottish government’s handling of the claims. Mr Salmond “refutes” the complaints from two women and “absolutely rejects” any suggestion of criminality. The 63-year-old said he was launching a donations page because the legal costs were “huge” and “many have asked how they can help directly”. “All sums received will contribute exclusively to progressing the judicial review and any money left over will be used to support good causes in Scotland and beyond,” he added. Over £15,000 was pledged within an hour of Mr Salmond posting a video message announcing he was resigning membership of the SNP and launching the crowdfunder. By 12 hours, over £60,000 was donated – well over the £50,000 target. It is open for one month, until 26 September. 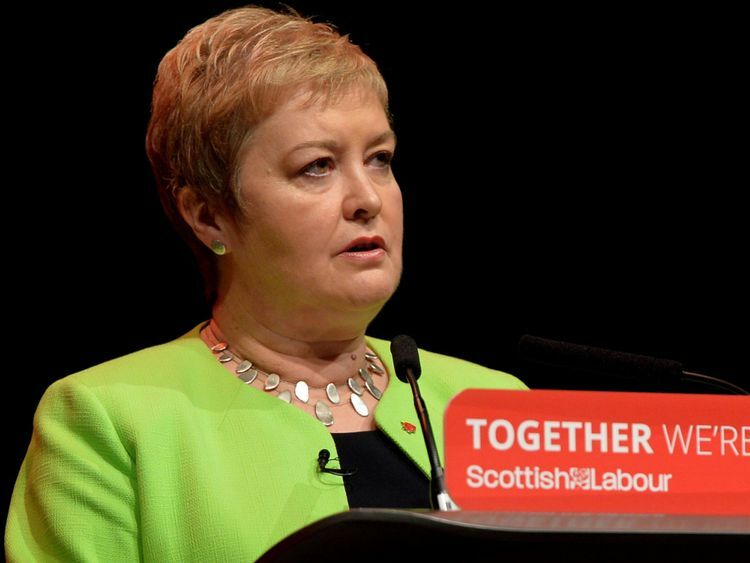 Rhoda Grant, the women’s spokesperson for Scottish Labour, said: “That an independently wealthy man with his celebrity and political power is to raise legal fees through a crowdfunder for a case ultimately linked to sexual harassment is unbelievable. “It suggests that he is sending a signal to those who have made allegations that he has the upper hand. Former first minister Jack McConnell has called on people to donate to charities for victims of sexual assault and harassment. Scottish Conservative MSP Annie Wells also said: “Alex Salmond has taken the decision to resign his membership of the SNP, but he has some brass neck to publicly crowdfund in the same breath. He also shared updates on the petition, and comments including that the money raised was a “measure of how much affection he still commands – and what many SNP supporters think of the allegations against him”. 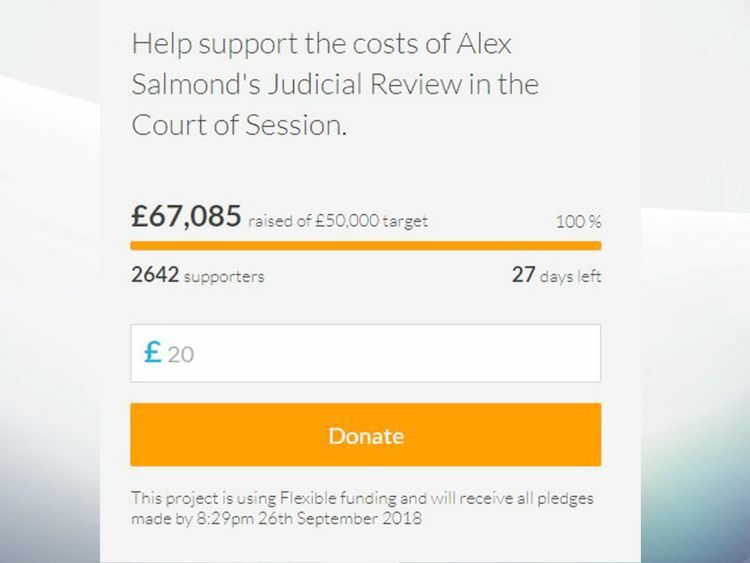 Donors also left comments on the crowdfunder, including “real Scots are behind you Alex” and “behind you 100%”. Another read: “In a misandric world, men need to stand together for a wee bit of support in the interest of real gender balance, fairness, and equality”. The allegations about Mr Salmond’s conduct towards two staff members in 2013 emerged last week. Earlier this week, he wrote to Scotland’s top civil servant, calling for an inquiry into how they were made public. 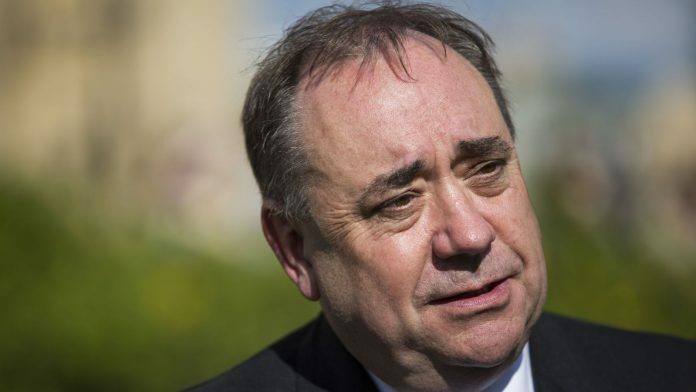 “In this case confidentiality has been broken greatly to my detriment and in a way which puts at serious risk the anonymity of both complainants,” Mr Salmond said.